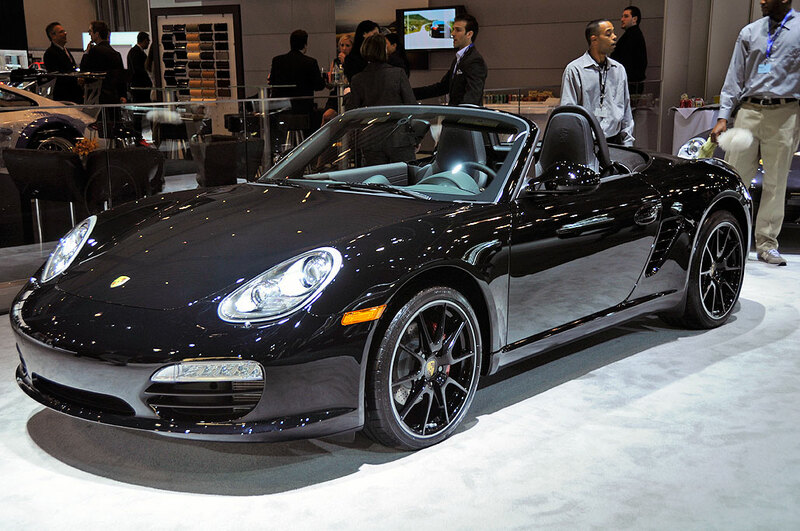 Porsche is the reason we go to the NYIAS whenever we can. This year, visitors to Porsche’s booth will get a close-up view of the limited Black Edition of the Boxster S. There will only be 987 of these specially outfitted vehicles. Each will be numbered and labeled. Boxster owners will immediately notice the subtle difference: black instrument dials and shifter, black rear side intake grills, embossed logo on the convertible roof, black twin tailpipes, body-matching rollbar, console, and model designation. To put the 320 hp from this beast onto the pavement, Porsche finished the car with specially painted black Spyder wheels (235/35 front, 265/35 rear Z19). The Black Edition Boxster S has a top speed of 171mph, can accelerate from 0-60 in 4.9 seconds, and hit 99 mph in 11.4 seconds. It will certainly will let you merge with traffic, get past the herd, and out in front of the pack in no time at all. All of that performance comes at the cost of 20 mpg for around town, 29 mpg on the highway, and will set you back around $65K.